Baby Poop is much more than a book about poo and what colour it should be. It’s about the connection between friendly bacteria in our gastrointestinal (GI) system and our long term health. It discusses how the GI system is 70% of the body’s immune system and thousands of little organisms inhabit ours and our babies’ guts to play a central role in our ability to fight infection and absorb nutrients. How do these friendly little critters get there in the first place? Breast milk plays a vital part in the process not only providing the perfect serving of friendly bacteria (700 served in colostrum!) but also providing the perfect food to sustain them. 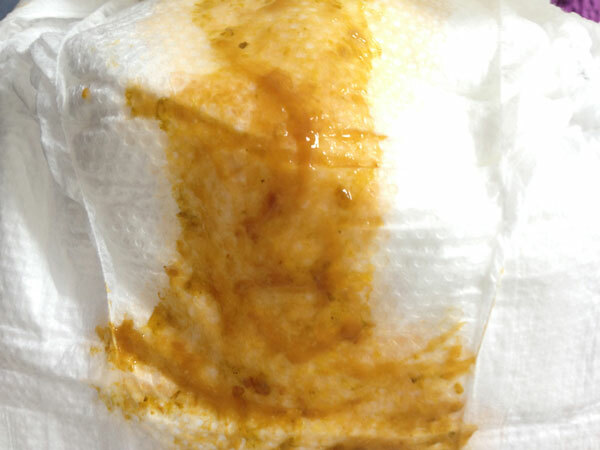 However he is fed, if your child suffers from allergy or sensitivity to foods, reflux, rashes, intestinal discomfort, constipation or diarrhoea, or if you are interested in a discussion on the ins and outs of normal looking poo, Baby Poop is for you. A heathy balance of beneficial species is the aim for normal health and author Linda Palmer explains that the wrong balance can lead to food allergies and even autoimmune diseases in later life such as asthma, diabetes and arthritis. Gut flora is also said to play a role in regulating mood and other brain functions with links between gut flora and autism having been identified. Baby Poop is full of interesting facts with over 30 pages of references to reinforce them. We learn that where a baby is born (hospital or home) can affect the establishment of healthy gut bacteria, along with how they are born (caesarean or vaginal) and what their early food is (breast milk or formula). We discover why formula fed babies have fewer of the friendly bacteria in their gut and develop a more adult like spectrum of less desirable flora (the bacterial population in our guts). And we hear that children born by cesarean section can suffer more cases of asthma, diabetes, celiac disease, serious intestinal infections and more. Early diet and early antibiotic use as a baby can have a big effect on intestinal flora and gut health. Early antibiotic exposure is linked with celiac disease, inflammatory bowel disease and eosinophilic esophagitis (EE)1 Apparently a single exposure to antibiotic drugs could leave flora out of balance for up to four years and maybe longer. While studies indicate that having any formula in a baby’s first seven days of life may prevent the normal floral environment of a breastfed baby ever developing. The importance of breast milk is woven through the book discussing how it promotes optimal gut flora which in turn protects against the development of asthma, diabetes and other diseases and infections. Not only does colostrum provide some 700 different desirable species to populate the baby’s gut it provides special fibre-like sugars to nourish this friendly flora plus a big dose of antibodies and anti-inflammatory agents all carefully packaged to survive the digestion process. every additional day that human milk can be provided exclusively, with no added formula or fortifiers, is another step toward optimal, short-term, and long-lasting immune protection for the child. There are answers to questions in Baby Poop that are hard to find elsewhere. Why is the newborn’s gut “leaky” at first letting breast milk components pass through like a sieve? What happens when “unexpected” foreign proteins in formula pass through these leaky walls? Can probiotic supplements (live bacteria and yeasts) help heal an inflamed GI system? Do the probiotics added to baby formulas actually work? Is to normal for a breastfed baby not to poop for a week or ten days? Or could this be a sign of Milk Allergy in Babies? And more. In the chapter “Preemie Poops” we discover research that giving probiotic supplements to premature babies and their nursing mothers can reduce necrotising enterocolitis (NEC)2. And we get the inside story on “human milk” fortifiers (HMFs) which are actually derived from cows’ milk and routinely recommended for premature babies. Palmer discusses whether there is any real evidence that preemies need more protein from HMFs to promote increased early growth when studies show exclusive breast milk feeding gives better neurological developmental outcomes and much less risk of NEC. Other great chapters include “Hard Poop” and “Caring for Constipation and Withholding”. While in “The Poop on Colic and Reflux” we find answers to questions like; Can reflux medication cause constipation? Can probiotics help reflux and colic? Does gripe water do anything? Does Infacol work any better than a placebo? 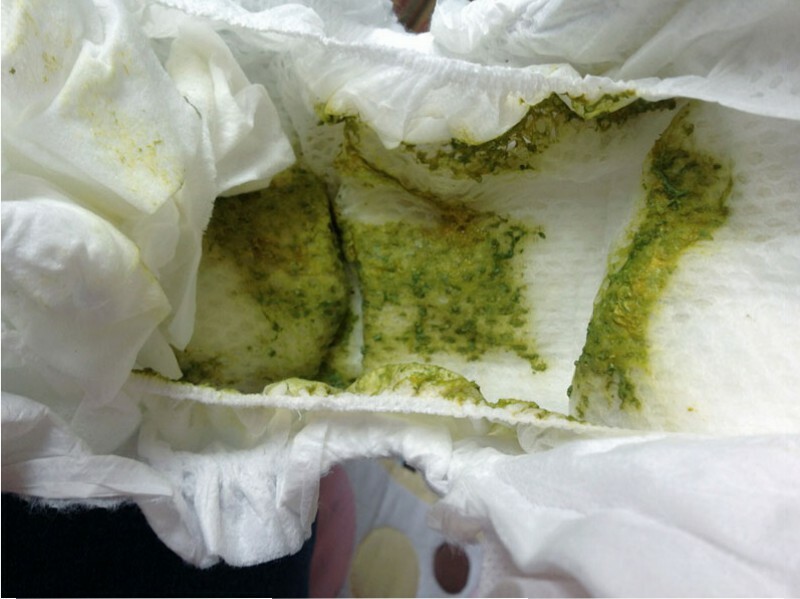 For answers to all these questions and ideas for “Healing Baby’s Gut for Lifelong Health” you will enjoy reading Baby Poop: What Your Pediatrician May Not Tell You …about Colic, Reflux, Constipation, Green Stools, Food Allergies, and Your Child’s Immune Health. Eosinophilic Esophagitis is described as an allergic condition where the throat swells, with coughing, spitting up, and difficulty swallowing. Necrotising enterocolitis is a dangerous condition mainly found in premature babies.